Yassin, a Syrian Ph.D. candidate at the University of Edinburgh, had been studying in Scotland since 2007, when what was supposed to be a short visit home led to trouble with the Syrian security forces. In March 2011, Yassin — his real name is changed to protect his safety — had expressed disgust via Facebook posts at the Syrian regime’s brutal response to early protests of the uprising. Arriving home, he was called in for questioning at the office of the ruling Ba’ath party officials at Damascus University. Soon after, a college dean arranged a meeting that Yassin describes as a trap. Yassin was accused, among other things, of being on the payroll of the British secret service, inflaming protestors, and collaborating with anti-regime figures from Lebanon. He made up stories that passed as confessions under torture and bribed officials for thousands of pounds sterling. He was finally released from more than six weeks of detention, and was later allowed to leave the country. He returned to Scotland last summer and tried to move on with his career as a student of genetics. But resuming his academic life was difficult. 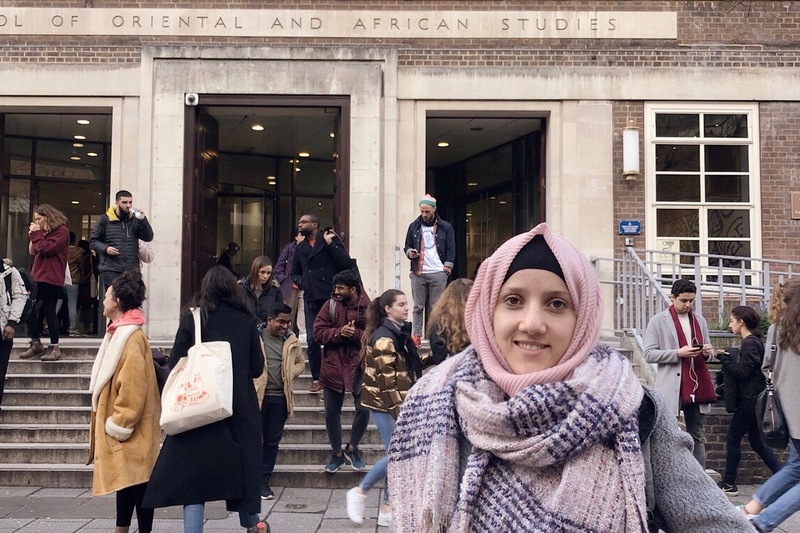 In safety, but not in peace, Syrian students such as Yassin who study abroad, muse that they might be the lucky ones, living miles away from the bloody conflict raging at home. However far away, though, the emotional ties, psychological trauma and fear remain. Can we stay here? What is happening to our families? Can Syria ever be the same? Can I ever go home again? Do I want to? These are the questions that shadow them. For many like Yassin, the regime was his main financial sponsor until the revolution began and funds were cut off. Banks in Syria were unable to transfer money in or out due to international sanctions, and the government’s funds dropped as the war dragged on. Yassin, recovering from torture, struggling to restart his academic career, was penniless to boot, he says. He was lucky enough to have the support of his university, which waived his fees and provided hardship funding. Little by little, he picked up the pieces of his life. His wife and infant son followed him to Scotland, another child was born soon after. He submitted his thesis just before Christmas. Other universities have been less supportive. Helmi says that following a recent meeting with Vince Cable, the British secretary of state for business, innovation and skills, who he says was “keen to help,” he is hopeful that the British government may step in to help the estimated 670 Syrian students studying in the UK. In January, an international group of universities and education organizations, the Syria Consortium on Higher Education in Crisis, announced it is creating scholarships for Syrian students. The consortium’s members include the International Institute for Education, based in New York, and an organization of Syrian expatriates, Jusoor: Syrians Forward Together dedicated to that country’s development. But the number of students needing scholarships greatly outstrips the availability. An engineering student at the University of Liverpool, Ahmad, 21, is among those hoping that such campaigns will bear fruit. At the moment, he is unable to pay tuition – economic sanctions imposed by the West have made getting money out of Syria virtually impossible. His financial difficulties stand in stark contrast to the life of relative affluence that he once had enjoyed in Syria. Hoping for some consideration, Ahmad approached various university officials responsible for international student support, but he hasn’t received any help so far. The fact that his studies might come to a grinding halt makes it difficult for him to concentrate on them – it’s something he is reminded of each time he logs in to the university intranet. “I get messages from my university that read ‘final warning – if you do not pay, you will be suspended from the university,’” he adds. University officials did not return repeated requests for comment. Helmi, of Syrian Students in the UK, says many of the students are experiencing loss and anxiety. In Leipzig, Germany, a political science graduate student, Emad, who did not want his last name published, counts himself lucky to know that his parents, wife and daughters are relatively safe back home. He can speak to them at least once a week. Emad himself has a history of run-ins with the regime’s security forces. That is why his family wants him to remain abroad. But even in Germany, words have to be chosen carefully. It’s a fear echoed by Yassin – and the reason he does not want his real name published. 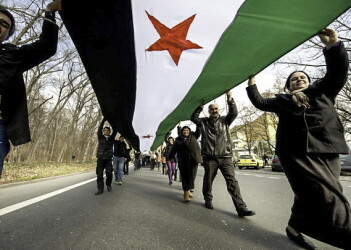 The Syrian students in Edinburgh are also divided between pro- and anti-regime, and another category: “Silent people who don’t want to be in either camp.” The anti-regime students, he says, “are so scared of the pro-regime because we used to be friends but now they report on us, [for example] when we protested in front of Russian consulate. Yassin is adamant that he will never return to Syria, insisting that even President Bashar al Assad’s ouster wouldn’t offer security as long as intelligence files on him remain open. Some students share other political observers’ dire predictions about Syria, saying that after the conflict between the government and the people is over, it will just be replaced by conflicts among different Syrian factions. Others insist that Syrians studying abroad have a key role to play in post-Assad Syria, whatever their views on the current conflict. An eventual return to Syria, however, is still firmly rooted in Emad’s mind. Without wanting to be a nag, just a ltilte comment I can’t help but making:I think it’s wonderful to donate for a good cause, but I also think that the situation is more complex than what we hear in Western media. The west has supported the regime for decades and now as geopolitic interests shuffle, all of a sudden the president is a monster. It’s a civil war, awful especially for children, but it’s not the good and the bad against one another. That’s the easy and deceitful message the western media wants us to believe.regards and please keep up the enchanting work!